It is an age old question that is getting more and more difficult to answer as our modern daily lives get busier and busier: How can working mothers manage to achieve a work/life balance? As more women are choosing to return to work after having children, and the pace of modern life is ever quickening, the struggle for new moms to balance everything is getting increasingly difficult and it is incredibly hard not to burn out. When it comes to children, “Working Mum Guilt” is a very real problem for many women. Many mothers deal with the guilt of not spending as much time with their children as they would like due to work obligations, despite the fact that they must work to support their children. Mums feel guilt that they will miss milestones and special bonding moments albeit having non-choice but to work – feeling as though they are spread too thin. 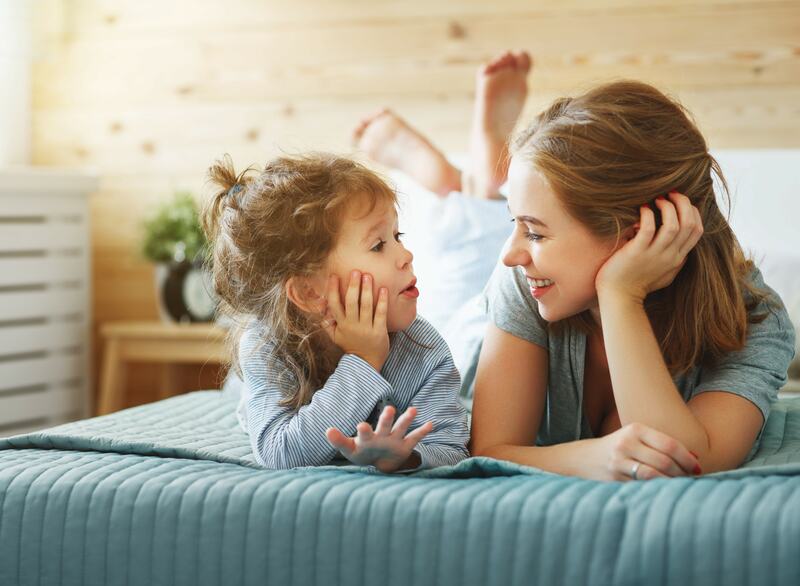 On top of working, daily activities such as food shopping, laundry, cooking and cleaning all eat into time and attention that mums would rather be spending with their little ones. A helpful way to alleviate some of this guilt is by being strict with your family time vs work time. During your allocated family-only time, ensure to switch off any work phones or at least put them on silent, do not check e-mails, do not allow any work-related thoughts or actions infringe on that allocated family time. Below are some helpful life hacks for working mums and ways to improve your work life balance. When it comes to work, along with parenting comes sleep deprivation, making it difficult to work at your highest productivity level and to your highest pre-parent/zombie standard. Unfortunately, the main piece of advice here is to get as much sleep as possible. Obviously, with newborns this is extremely difficult to do, however with slightly older children, try not to fall into the trap of staying up really late just to find some quiet time for yourself. Either go to bed early or rotate. For example, if you indulge yourself and stay up late to make the most of your quiet, zen time one night, the next go to bed early. As a mum, it is normal to feel some resentment towards your job, especially when you have young children and feel like you are missing out at home. It is normal to feel as though working isn’t worth it and isn’t the right choice for you, but later on you may wish you had tried the juggling act and continued working towards your career goals. Do not stay in a job you hate or feel undervalued in, but perhaps take some time to consider if it’s the job itself or the time away from your little ones that is the issue. One of the most important things you can do for yourself as a mother, especially in the early years of parenting, is to allow yourself feel a multitude of emotions without judging yourself, beating yourself up or pressuring yourself to make immediate and drastic changes. When life gets hectic, your partner can subconsciously get shifted down the priority list as children and work take first and second place. As working parents, it is easy to prioritise other things and take solace in the fact that you will get your precious time together back when your children are older and feel guilty making that time now. However, not making your relationship a priority now – when you need eachothers love and support more than ever – could result in you growing apart. Ask a fellow mum for their babysitting service and schedule a date night out. If a night out is out of the question, make time to meet your partner for lunch or coffee during the day on your lunch break from work. Try to set aside at least one night per week where you both ignore all chores and spend quality time together – binge watch a Netflix series or your favourite movie and catch up. Friends are another ball in the juggling act that is parenting. We cannot stress enough the importance of friends at a time like this – they provide both an outlet for and a distraction from the hectic parenting life, in an external way that neither your partner nor your children can. Although there are many downfalls to the world becoming more and more digital, an upside to this is that it makes it easier to keep in touch with friends when you cannot physically see them all the time. Start a virtual book club with a friend, listen to a podcast or audio book as you multi-task mum-style, discuss the book or podcast via e-mail or text, or once a month when you eventually get to see eachother. 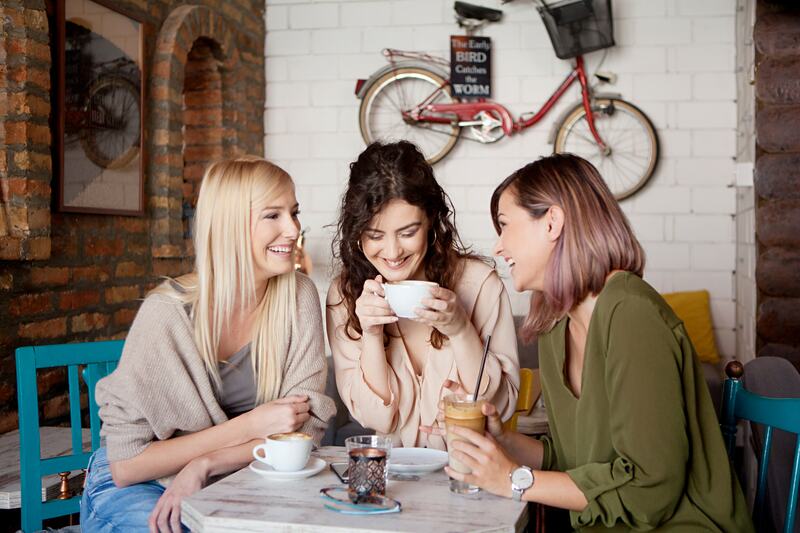 Spending physical time together is also very important – a glass of wine or cup of tea and a chat with a friend can do wonders to revive the soul. It is important to remember that these true friends – the forever friends – will also understand if you sometimes cancel plans due to an unrelenting desire to sleep. Last but certainly not least, it is essential to make time for self-care. Being realistic, most mothers won’t be able to find the time to indulge in day-long spa visits or weekends away, but it is the smaller moments that must be taken advantage of. Get up 20 minutes earlier in the morning twice a week to drink your coffee in silence before the rest of the household awakens and the chaos begins. Set out 15 minutes at the end of the day to do something you miss since becoming a parent – whether that is flipping through a magazine, taking a walk or a drive, or having a shower without an audience. There are a number of things you can do to save time as a new mom. Create and use a family calendar – not only does this help with scheduling but allows you to organise and plan out your week ahead of time. This can include household tasks, work meetings or events you or your partner have coming up so you are both aware of the others’ schedule. Investing in quality products from bottles to cleaning products for sterilising also helps to save done because it gets a job done – and quickly. Meal preparation is also a great time saver. Try to go grocery shopping only one day a week (or better yet, do an online grocery shop) so you have all the ingredients you may need on hand at the start of the week to help feel more organised and prepared for the week ahead. Overnight oatmeal is a huge time saver for breakfasts in the morning too! Another thing to remember is that there is no shame in asking for help in the form of childcare. If you already avail of childcare, look into getting an extra hour each week where you can take care of niggling errands or have some “me” time. Setting weekly and daily to-do lists helps you to prioritise what needs to get done first and foremost, rather than wasting precious time on tasks that could be done at a later date. Preparing the night before is also an amazing time-saving method – pick out your outfits, make lunches and doing a quick tidy of the house before bed will help you wake up the next day feeling less overwhelmed by what is facing you. “The days are long, but the years are short”. It is important to know and remember that the world is filled with women in the same situation and you are still a wonderful mother.